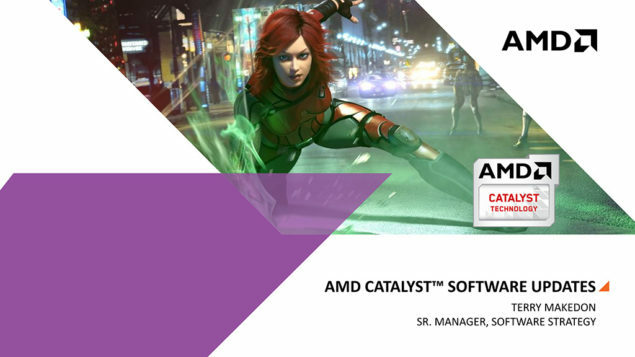 Videocardz tells us that AMD will soon be releasing a new drivers patch dubbed the AMD Catalyst 14.6. Now this particular update, along with the various performance updates and bug fixes will include 2 major updates. The first one is the activation of Mantle API in Notebooks with Enduro Technology and the second major feature is the inclusion of a new Eyefinity implementation affectionately dubbed “Eyefinity 3.0” by VCZ. Lets start with “Eyefinity 3.0 (not the official name)” first; basically this update will allow ‘Mixed Resolutions’ in a multi display setup. 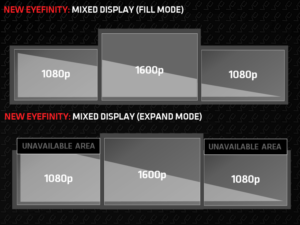 Do you have a couple of old LCDs lying around that would be just perfect if the Eyefinity configuration didn’t screw up the FOV and area displayed? Well, this iteration of the Eyefinity solves just that. 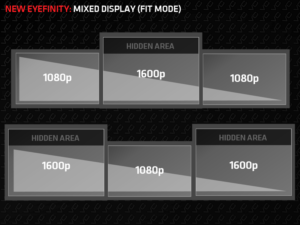 The example AMD provided was of a single 1600p display and 2 1080p displays, most games wouldn’t support such a resolution, but after this Catalyst update, you should be able to run it just fine. Inside that, you will have two options, either fill the area completely, or constraint the proportions. AMD termed it as the third major update for catalyst, which consequently earned it the nick of Eyefinity 3.0. Lastly, Mantle is now supported on AMD notebooks with Enduro technology. The stated official performance figures are on par with the original Mantle figures, with Star Swarm showing a major performance increase and Battlefield 4 showing a small but significant performance increase. Oh and by the way, this update is also Watch Dogs ready. AMD also claims that it will provide 99% scaling in multiple GPU configurations for Watch Dogs.